The Kanban Tools extension for VSTS is now available on the marketplace. This is our first public release of the extension and includes the ability to copy to and from a team’s Kanban board. 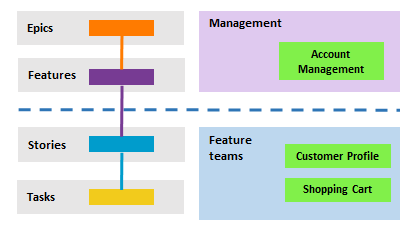 In his latest post, Senior Consultant, Assaf Stone shares some useful suggestions on tracking Work In Progress (WIP) in VSTS. In this post, Premier Developer Consultant Derrick Cawthon teaches you how to get started with Infrastructure as Code quickly and easily using Azure DevTestLabs and VSTS. He shows how simple it is to use these two technologies to be able to deploy on-demand. Premier Developer Consultant Derrick Cawthon walks through how to share deployment groups across team projects in VSTS, so you can take full advantage of your infrastructure and maximize investment in cloud services. One of the many recent enhancements to VSTS (Visual Studio Team Services) is the adding of Deployment Groups back in 2017. In this post, Premier Developer Consultant Derrick Cawthon shares how to quickly create a continuous integration pipeline in VSTS, so teams can start pursuing their DevOps journeys. During your DevOps journey typically the first item you will want to do (after establishing a good process for the team) is setup a Continuous Integration (CI) build. In this post, Premier Developer Consultant Jafar Jaffery shares insight into how to deploy web applications to virtual machines using Visual Studio Team Services and Octopus Deploy. You can use Octopus Deploy in conjunction with VSTS to deploy both on-premises or in the cloud in a repeatable and reliable way. This post is written collaboratively by Premier Developer Consultants Ilias Jennane and Daisy Chaussee along with App Dev Manager Wyn Lewis-Bevan. Read on to learn how to build a solution in TFS, release it in VSTS, and automate the deployments to separate Azure Resource Groups.